A small plane that had a rough landing gets rolled off the runway Sunday afternoon at Bangor International Airport. 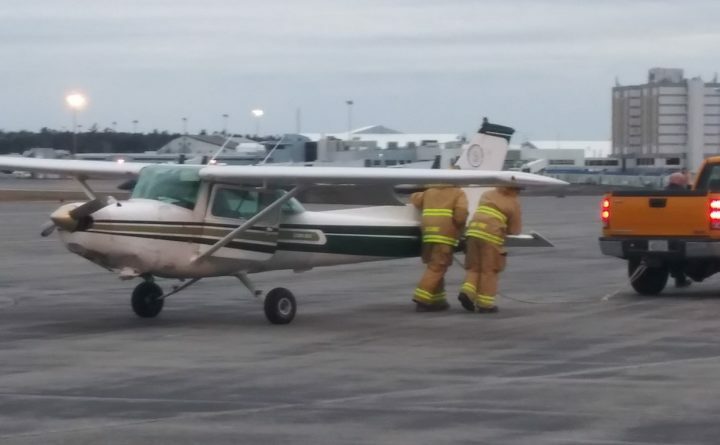 A small plane came down nose-first at Bangor International Airport on Sunday afternoon, according to a witness. No one was injured. 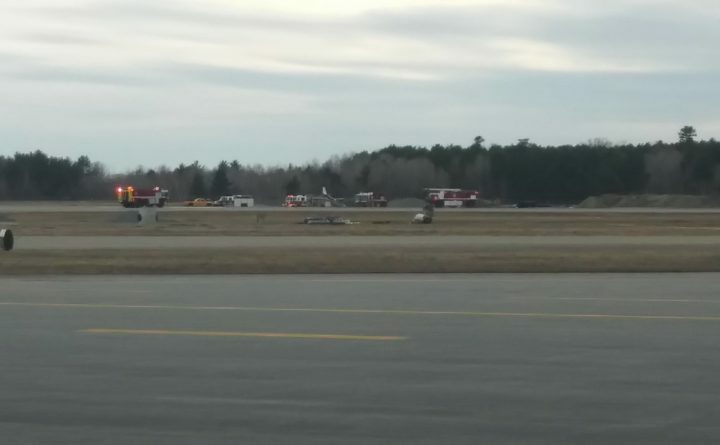 No one was hurt Sunday afternoon when a small plane apparently crashed on landing at Bangor International Airport, according to an eyewitness. The incident happened shortly after 5 p.m. and caused airport officials to close a runway for at least an hour, Aimee Thibodeau, the marketing manager at the airport, said. Because there were no injuries and the plane was not a commercial aircraft, officials would not typically release the names of those involved, she said. Dan Warner, a volunteer with the Orono-based Down East Emergency Medicine Institute, was working at the search and rescue company’s hangar at the airport when he heard an out-of-place noise. He immediately notified airport authorities to tell them about the crash of the plane that appeared to be a Cessna. He then saw several fire trucks responding to the plane, which had dark smoke coming from it. Two people got out of the plane, Warner said.